Art leads the way at Solid Sound, the Wilco-curated music and art fest, with the case in point of one of the most unlikely rock bands ever: The Shaggs. The Wiggin sisters of New Hampshire became unlikely cult heroines decades after their 1969 release, Philosophy of the World. Certainly untrained, and right on the line between great and awful, The Shaggs' outsider music appealed to artists from Frank Zappa to Kurt Cobain to NRBQ. Fast-forward to 2017, the band gets plucked to appear at Wilco's Solid Sound music and art festival, their punk aesthetic intact. As Rita Houston says (she owns one of the band's few vinyl recordings, if that is a measure of fandom): "The passage of time doesn't matter here. 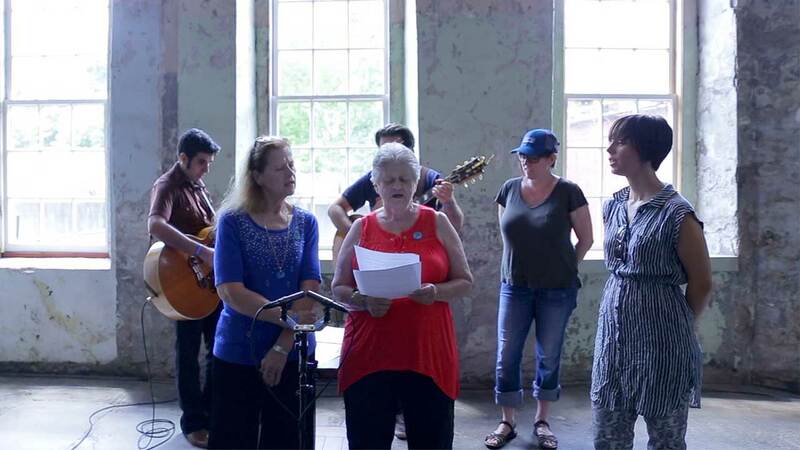 The Shaggs rocked Solid Sound, and music fans of all ages got the chance to witness an extremely rare performance." The band's 2017 incarnation, including Dot and Betty Wiggin, visited with WFUV backstage.